By annotating the song’s page on Genius. 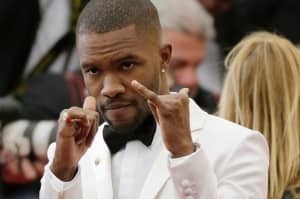 Frank Ocean just hopped on Genius to offer some vague insight into his lyrics from "Slide," his Calvin Harris and Migos team-up that dropped tonight. The song's first few bars go: I might...empty my bank account. And buy that "Boy With A Pipe." As Frank explained in his annotation on Genius, "Boy with a Pipe" is "A Picasso painting that sold for so much money." In fact, as Genius explains, the painting is a 1905 work from Picasso's Rose Period, that was auctioned off for $104 million at Sotheby's in 2004. The line is one of a pair of references to the artist in the song, as Offset's verse features the line, Walk in my mansion, twenty thousand painting, Picasso. Make of that what you will, and in the meantime, you can revisit Frank's surprise Beats 1 show, Blonded Radio, here.